The biggest lie being perpetrated this holiday season (aside from the hyper-commercialization of Christmas) is that Saving Mr. Banks is a delightful holiday film for the entire family. While it might be appropriate for viewers of all ages, it’s far from the case that all age groups will love the film. Marry Poppins was/is fun for the whole family. Saving Mr. Banks relies heavily on familiarity with said Disney classic, knowledge that many younger (and increasingly older) viewers might not have. Yet in this boring, and occasionally convoluted, mess, there is a beautiful articulation of the power of stories to (re)shape our lives. Saving Mr. Banks is about Walt Disney’s wooing of P. L. Travers, the author of the Mary Poppins books, in order to obtain the film rights to her literary creation. It’s also about Ms. Travers’ attempts to rebuff Disney’s efforts at every front. Mary Poppins holds a special place in Ms. Travers’ heart because of the character’s affiliation with both pleasant and tragic childhood memories. These memories have also shut Mrs. Travers off from the world around her, trapping her in intense feelings of anger, sadness, guilt, and regret. Walt and his team of filmmakers try to crack the case, so to speak, in an effort to figure out what makes Mrs. Travers tick and how they can best convince her to surrender the rights to her stories. B. J. Novak as Robert Sherman, Jason Schwartzman as Richard Sherman, Bradley Whitford as Don DaGradi, and Emma Thompson as P. L. Travers. On one level, watching Saving Mr. Banks is like waiting for the Titanic to sink in James Cameron’s 1999 epic. The filmmakers liven things up by cutting back and forth between Ms. Travers’ visit to Los Angeles to negotiate the film rights to her books and her troubled upbringing in rural Australia in the early 1900s, where she enjoyed (endured?) a tumultuous relationship with her imaginative and alcoholic father. For the most part, the parallel narratives work just fine but pay off brilliantly in one of the concluding scenes in which Ms. Travers sees the film version of Mary Poppins for the first time. The film benefits from beautiful cinematography and some gorgeous set design. Having worked on the Disney lot for several months this year, it was interesting to see all those stunning art deco buildings back in their “original” context. Emma Thompson is, as always, brilliant, while Tom Hanks is, well, Tom Hanks (he gives a far more inspiring performance in Captain Phillips, however). The supporting cast of Bradley Whitford as screenwriter Don DaGradi and Jason Schwartzman and B. J. Novak as songwriting brothers Richard and Robert Sherman work just fine. Whitford employs his usual whit while Novak shows real big screen promise. While I found much of the film plodding, I was struck by one particular scene in the final third of the film. Walt pursues Ms. Travers, who has gone back to London, in an effort to make one final plea for the film rights to Mary Poppins. During their conversation, Walt tells her of the power that storytellers (and their stories) have to re-orient people’s imaginations and to quite literally (re)shape their lives and memories. He rightly accuses Ms. Travers of being imprisoned by painful memories of her own creation, memories that breed feelings of guilt, anger, and sorrow that shut her off from the rest of the world. She guards her literary creation with an iron fist, in part, to tend these wounded feelings. Walt promises her that his adaptation of her stories can prove liberating for not only her, but for audiences around the world as well. Through this conversation, and her subsequent viewing of the film, Ms. Travers is liberated from these painful memories, seeing them anew for what they were/are and embracing an altogether more holisitc vision of her life. 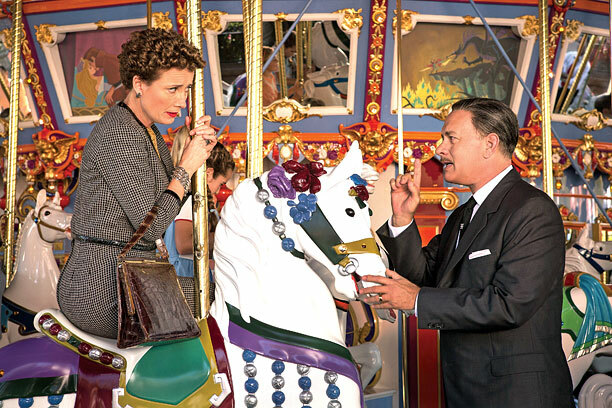 Tom Hanks as Walt Disney woos Ms. Travers (Thompson). For me, this is as beautiful an articulation of the power of story, and particularly the Gospel, to (re)shape our lives as I’ve seen on film since Big Fish. In this way, Saving Mr. Banks is a fitting Christmastime release, because this is what the narrative of Jesus’ birth does for those who celebrate and re-tell it year after year. It reminds us that this season in particular, and life in general, is not as the rest of the world would have it. 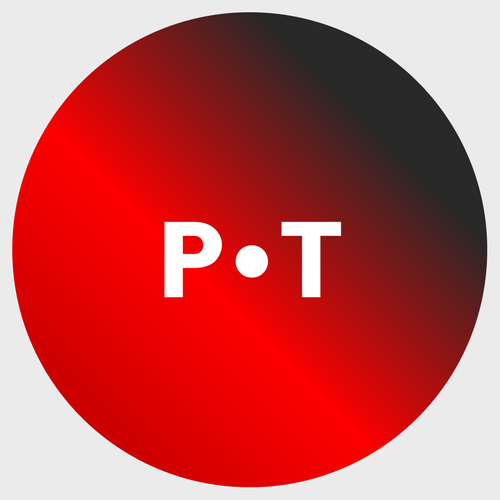 It re-orients our notions of power, vulnerability, and salvation. It rescues us from painful memories and emotions that imprison us and liberates us to be peacemakers and healers in a violent and broken world. My friend David Henson has written a beautiful homily to this effect. If you won’t be attending services tonight or tomorrow, please do yourself a favor and read it. THE Mary Poppins (Julie Andrews), Walt Disney, and P. L. Travers. The Christmas season, for many of us, is a reminder to expect the unexpected and to look for hope in the unlikeliest of places. Surprisingly enough, in the midst of a boring, messy film, I found a beautiful articulation of the power of story and the promise of the Gospel that reminded me yet again of why I love movies and why I embrace the Jesus narrative year after year. Saving Mr. Banks (120 mins.) is rated PG-13 for thematic elements including some unsettling images and is in theaters everywhere.